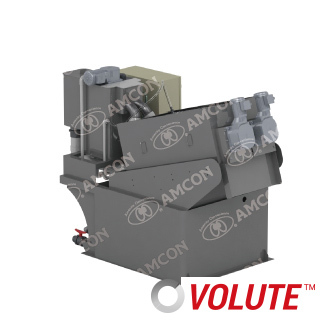 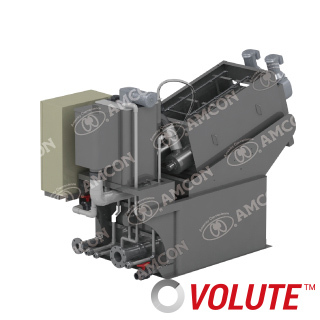 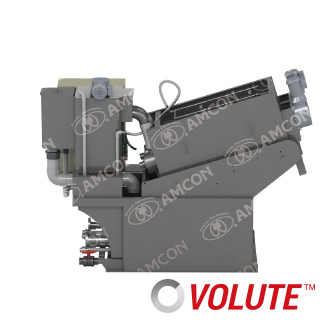 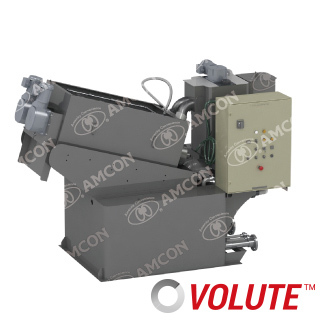 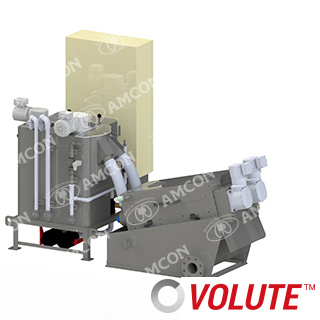 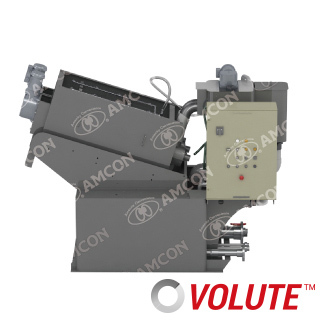 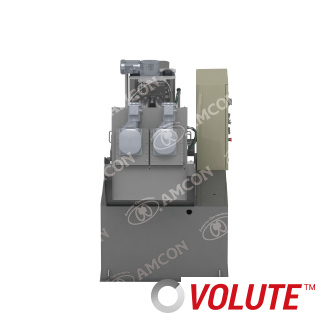 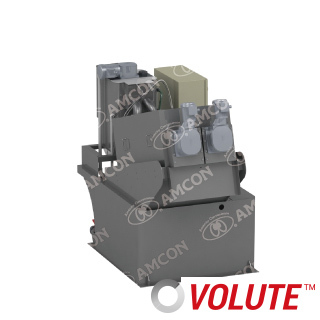 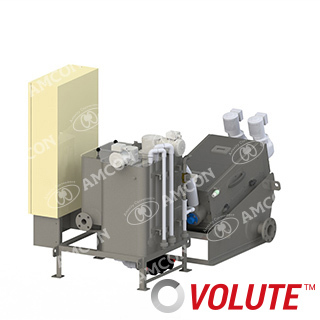  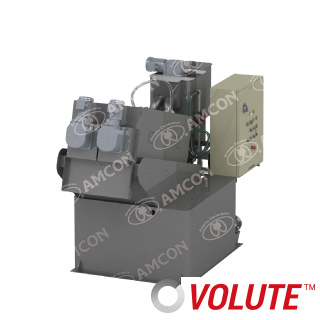 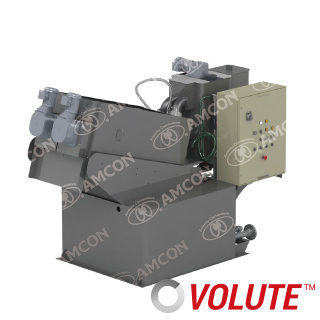 Sludge Dewatering Press [GS and EC and ES Series] | AMCON is the solution for sludge dewatering press and treatment. 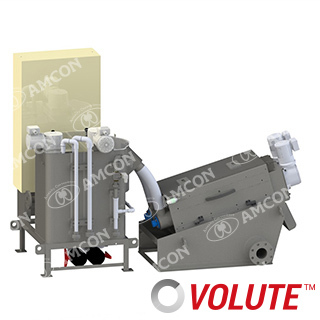 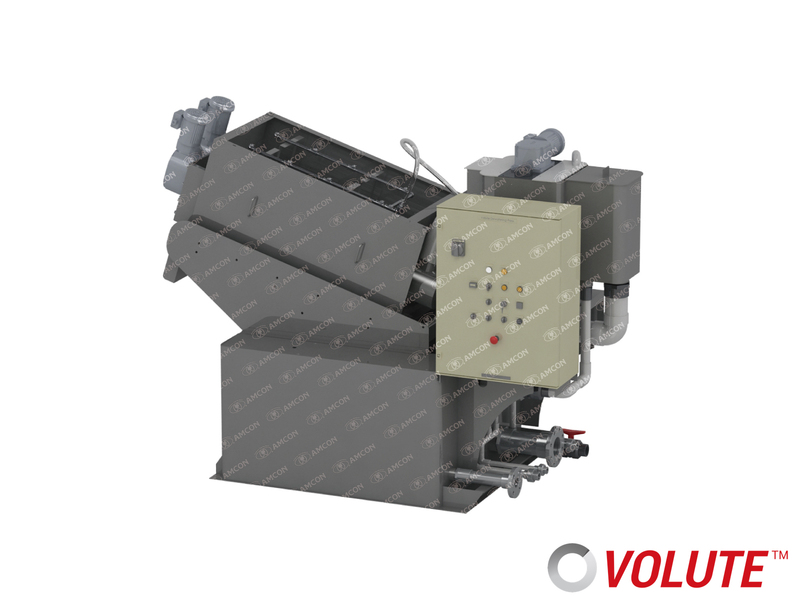 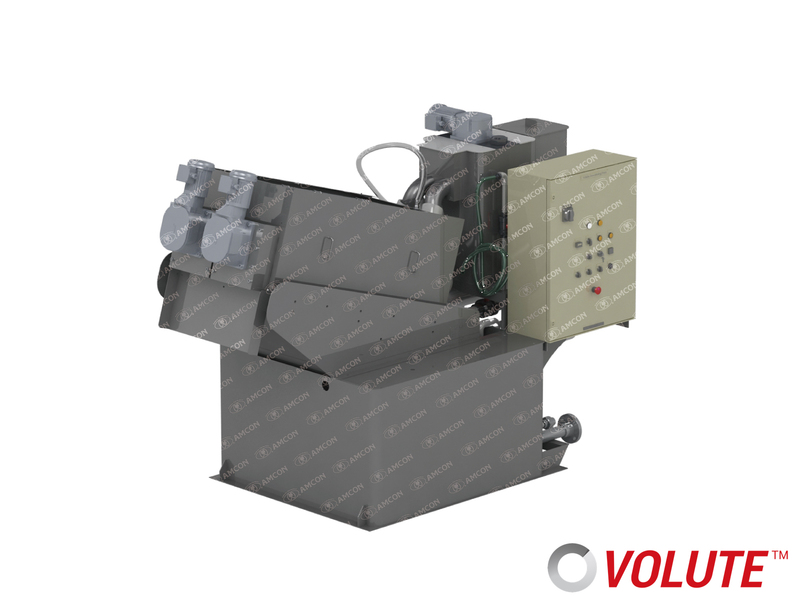 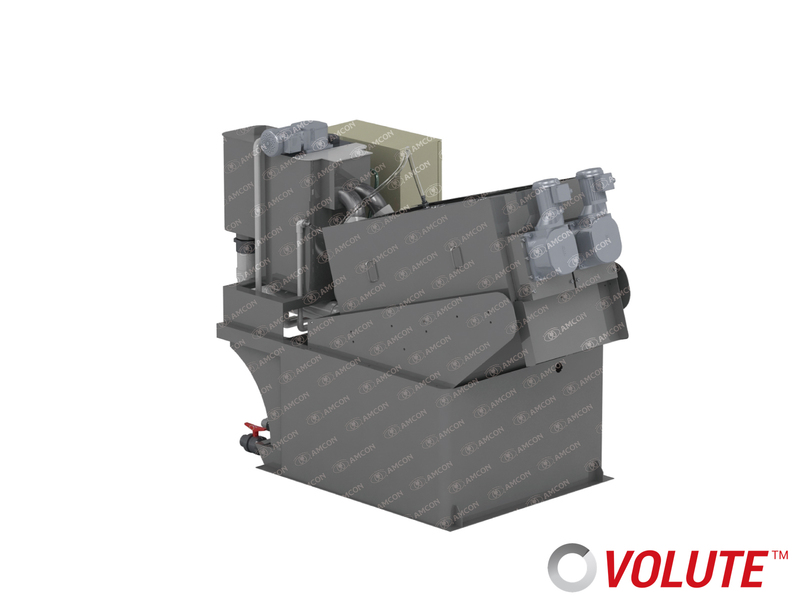 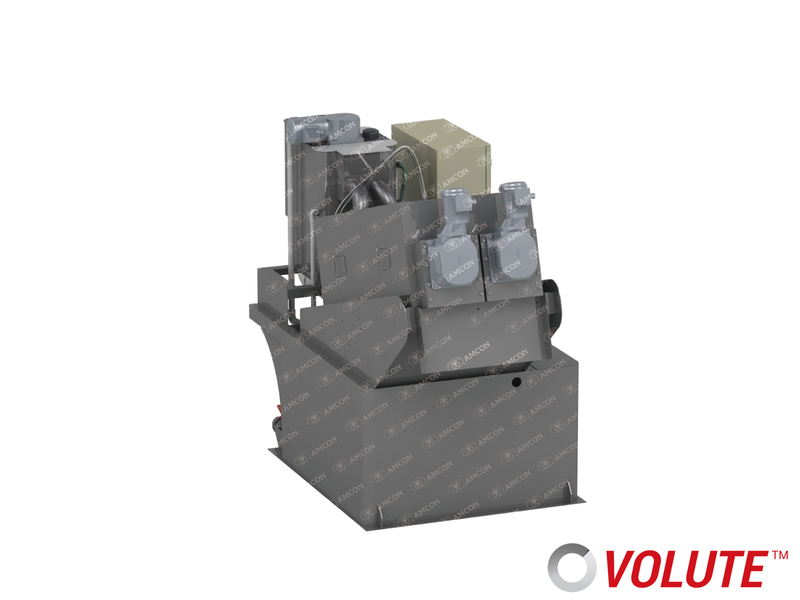 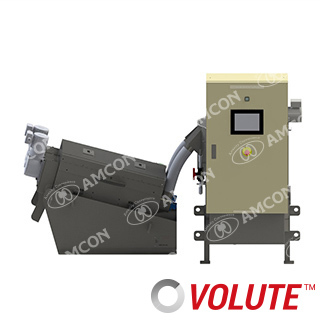 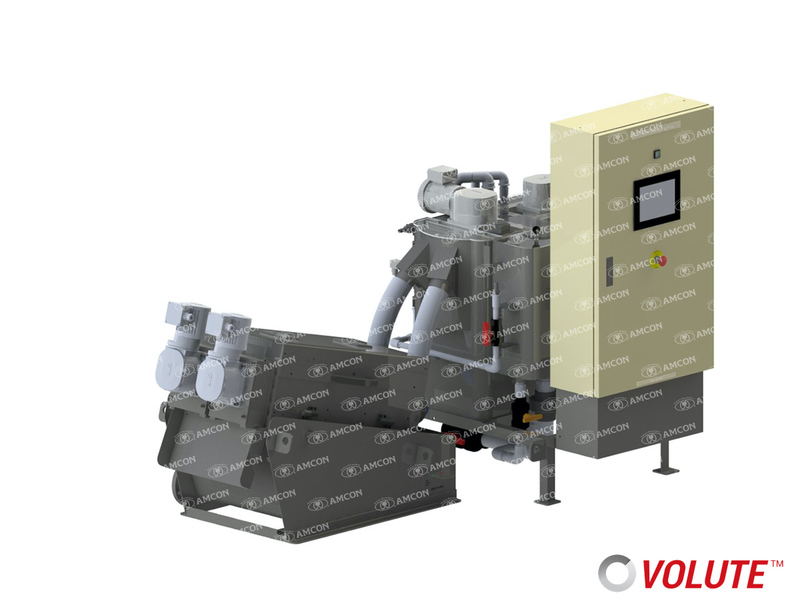 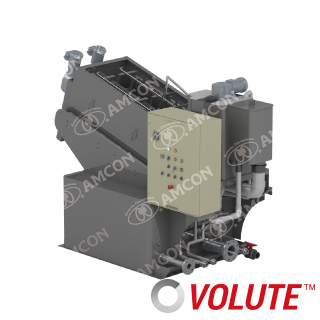 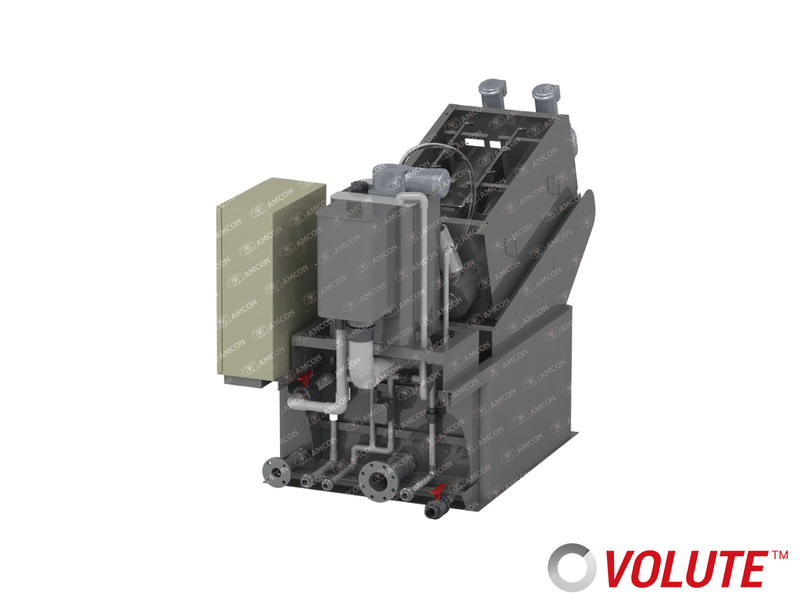 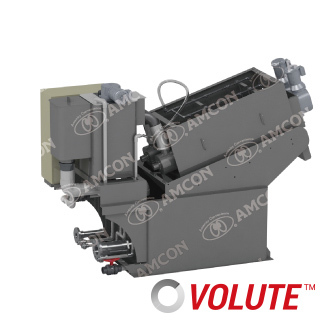 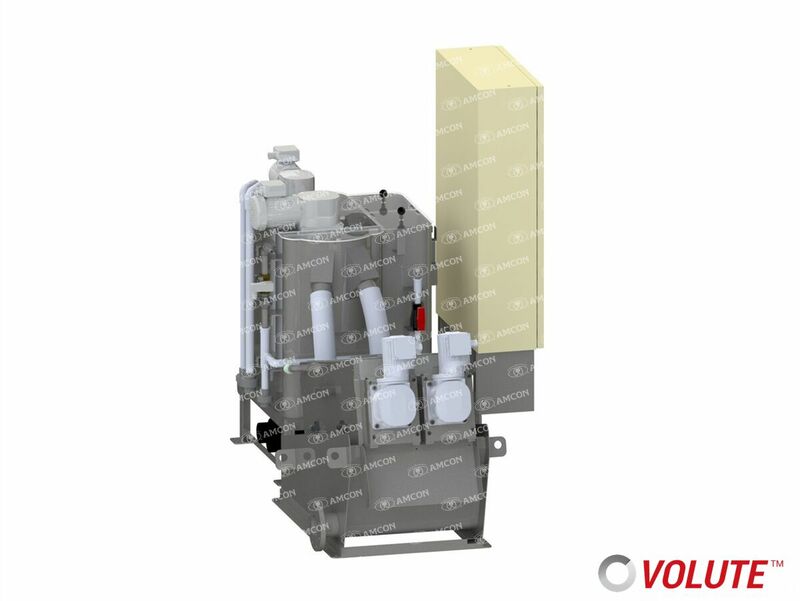 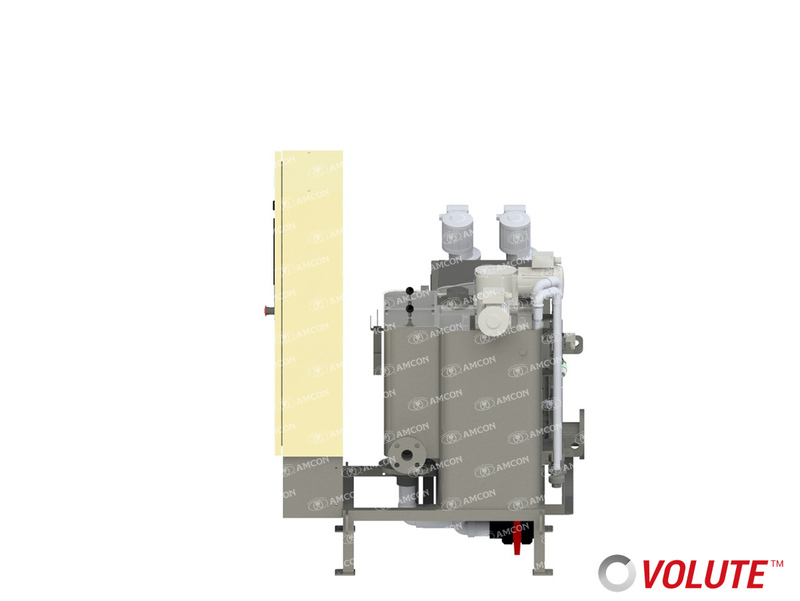 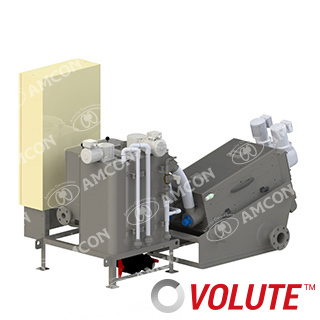 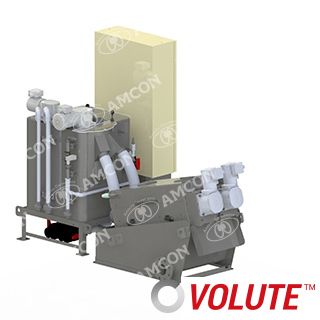 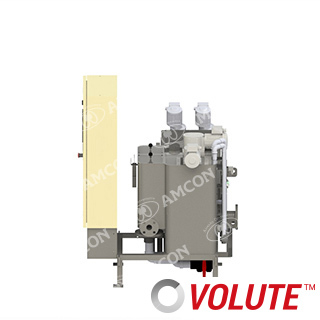 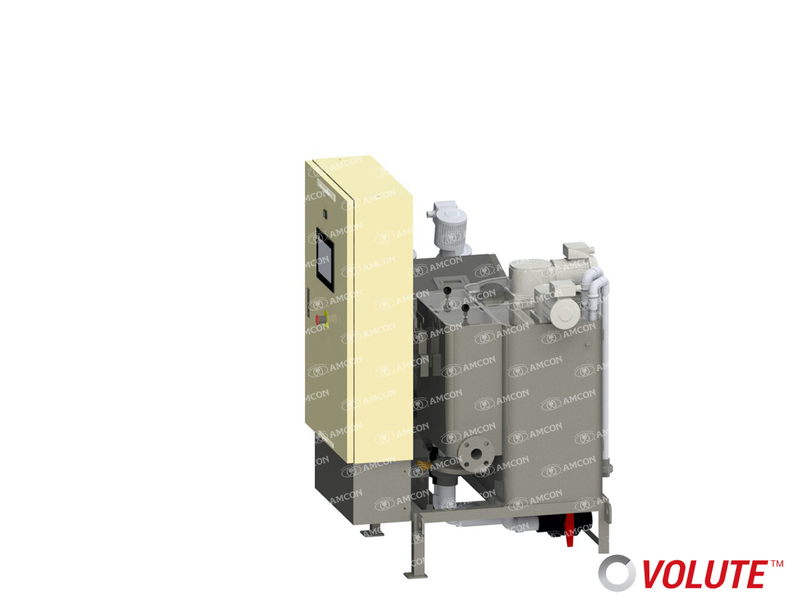 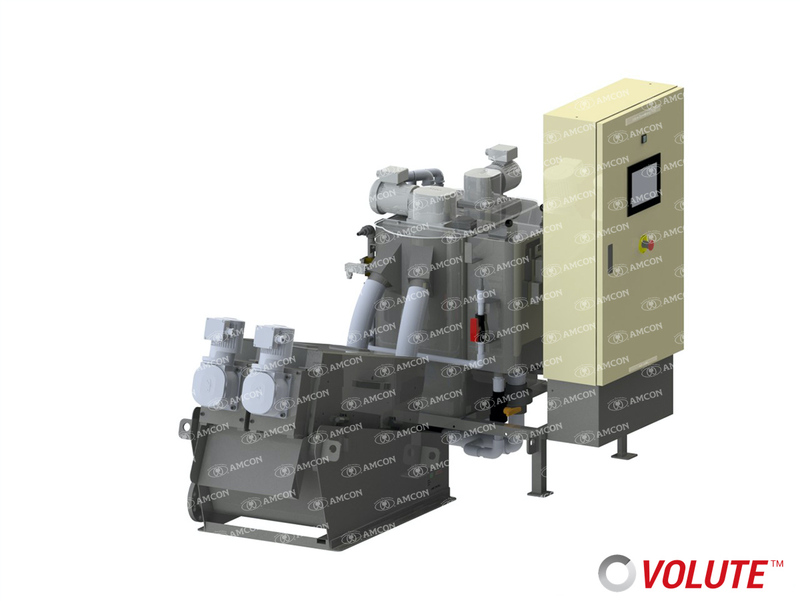 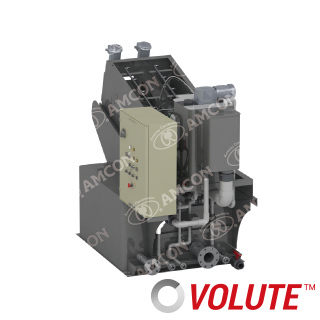 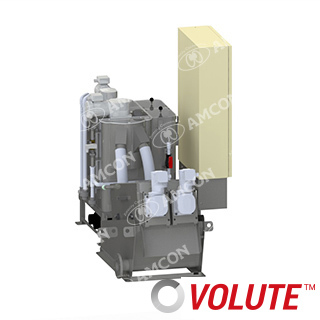 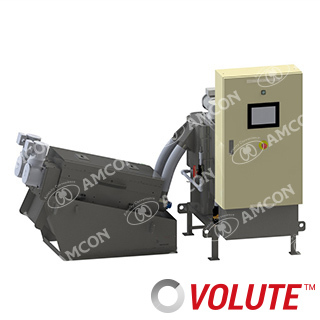 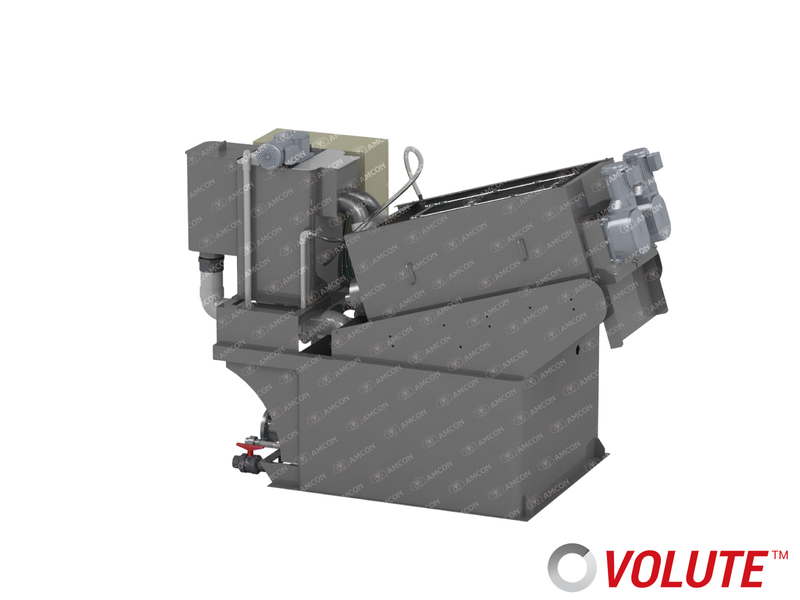 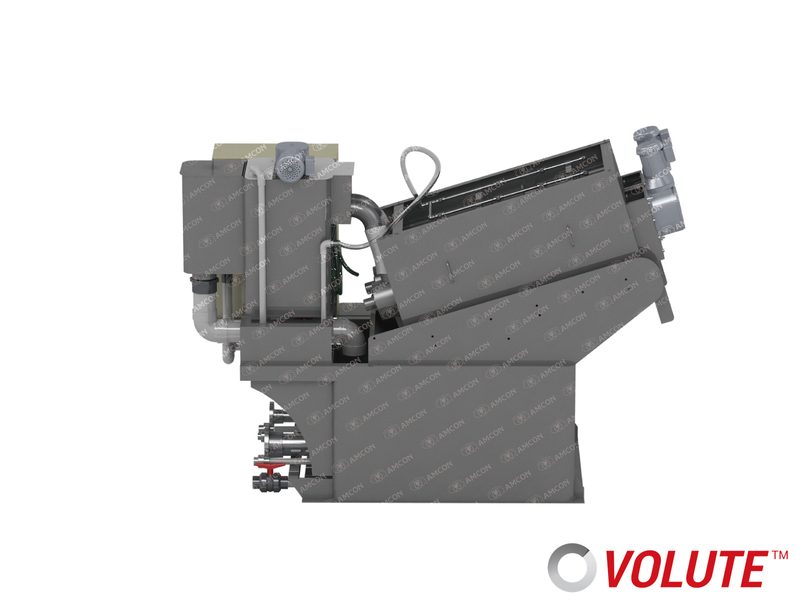 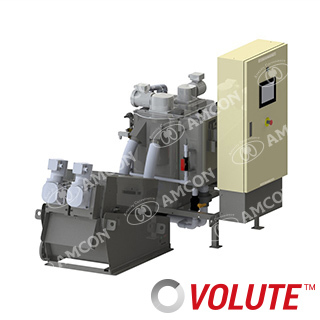 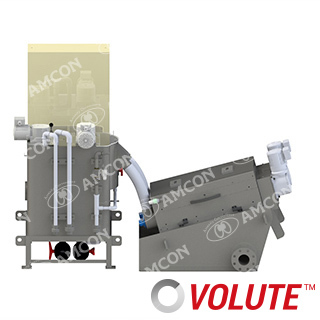 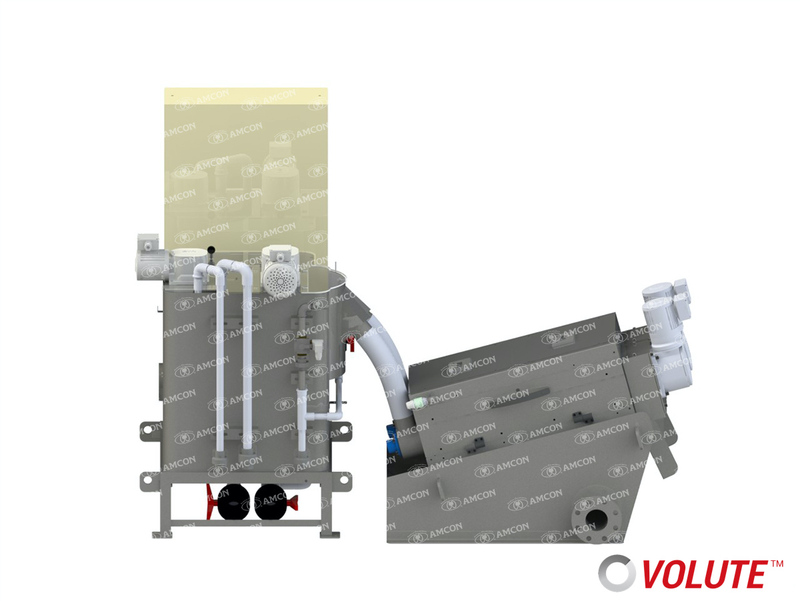 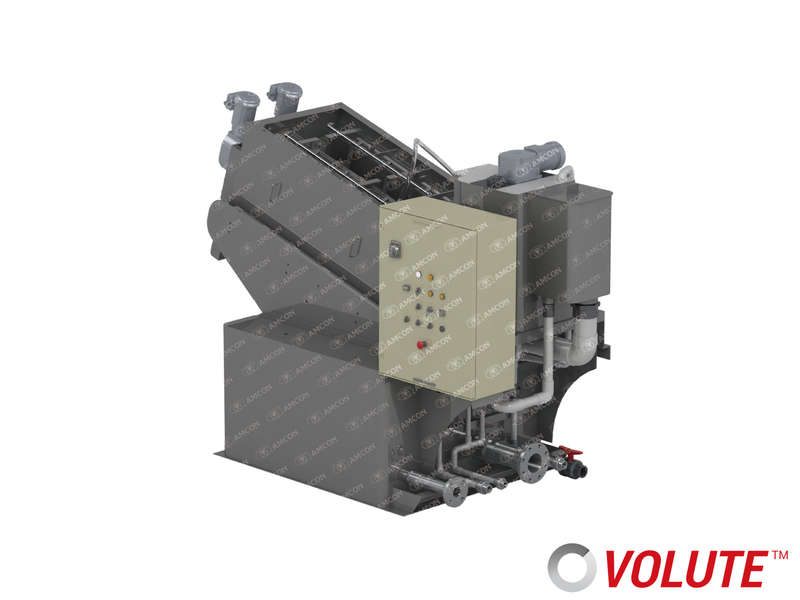 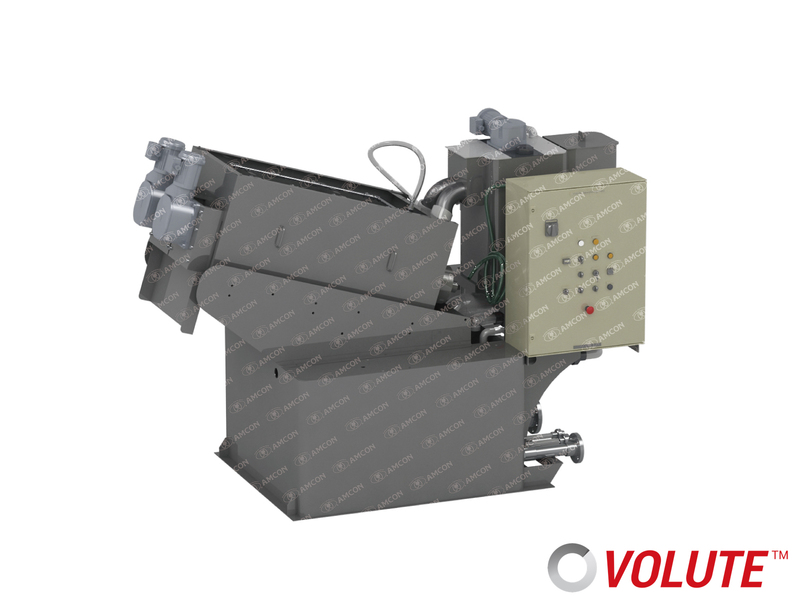 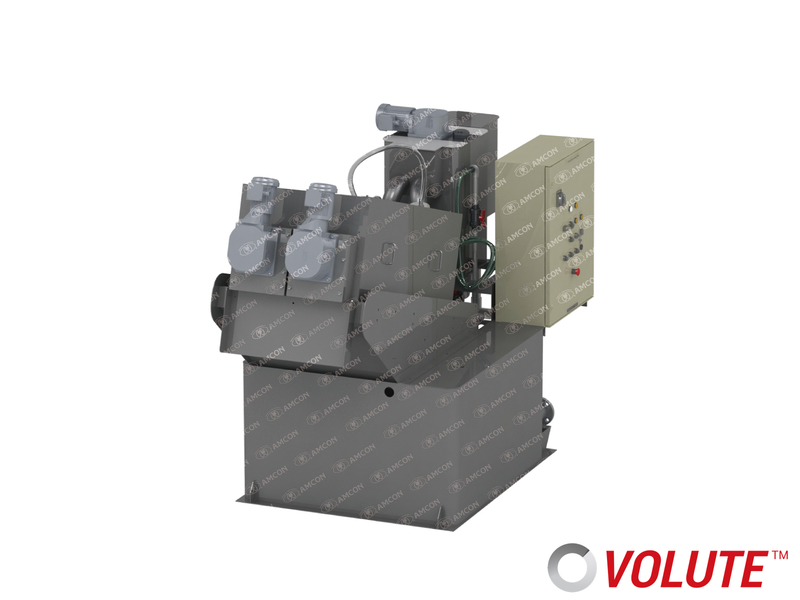 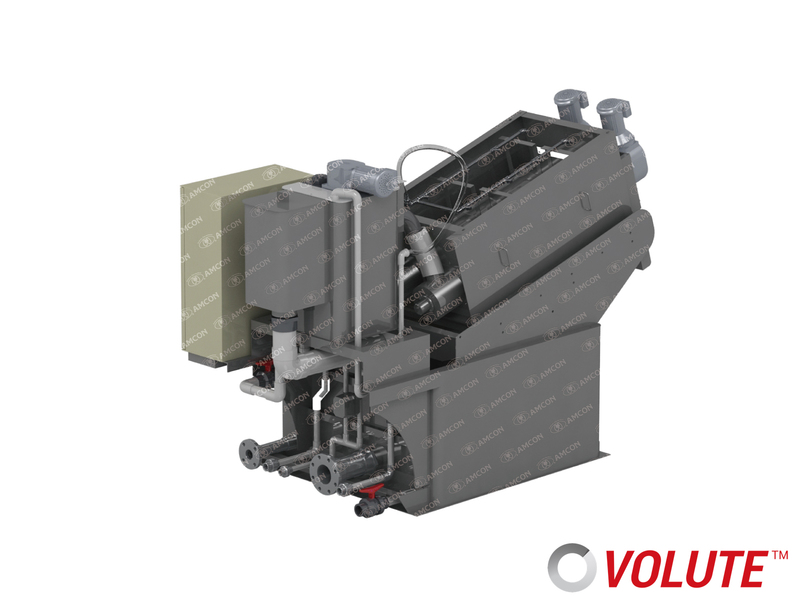 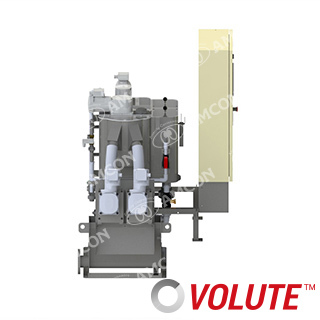 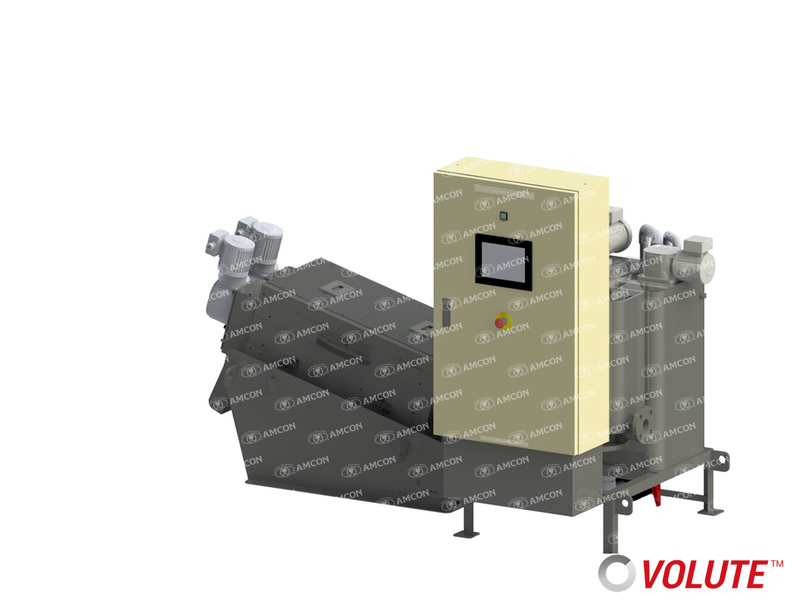 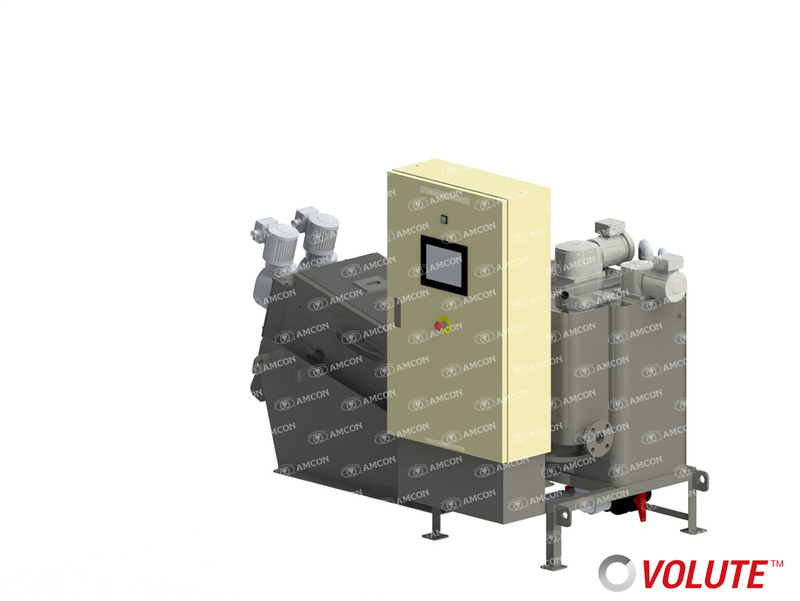 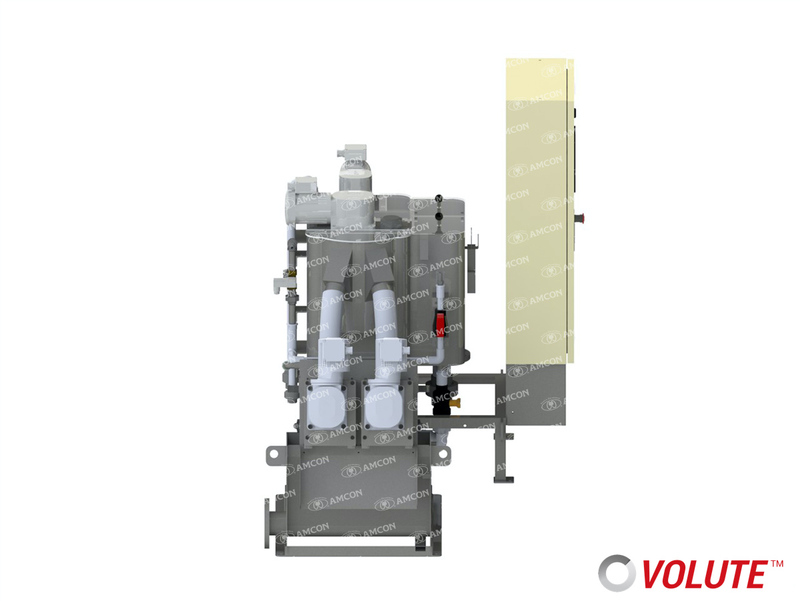 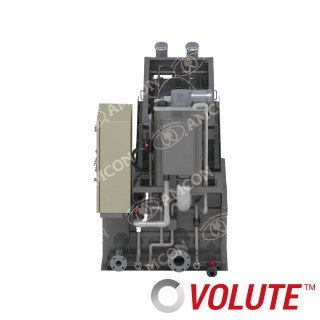 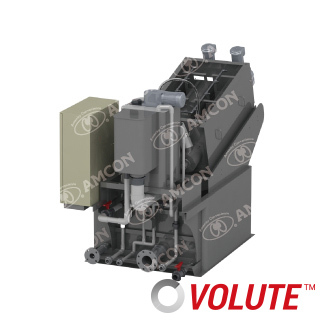 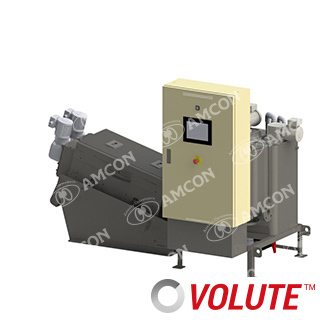 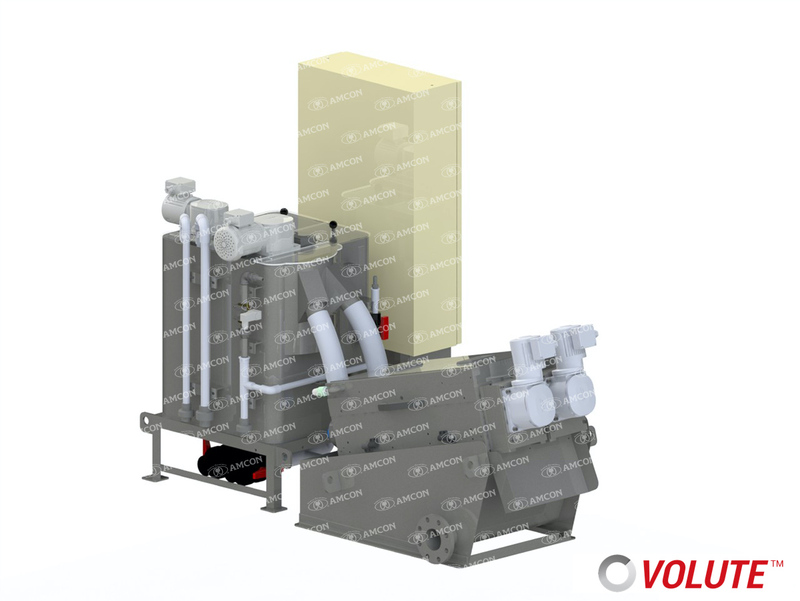 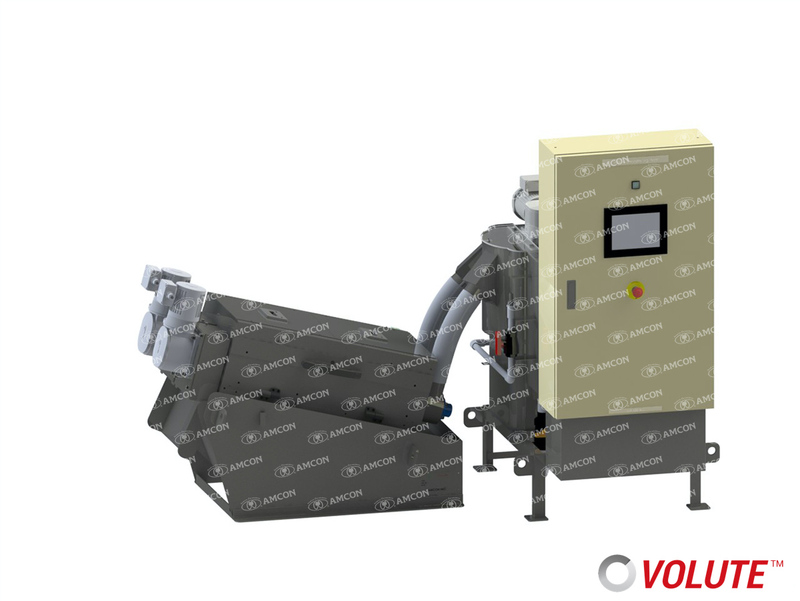 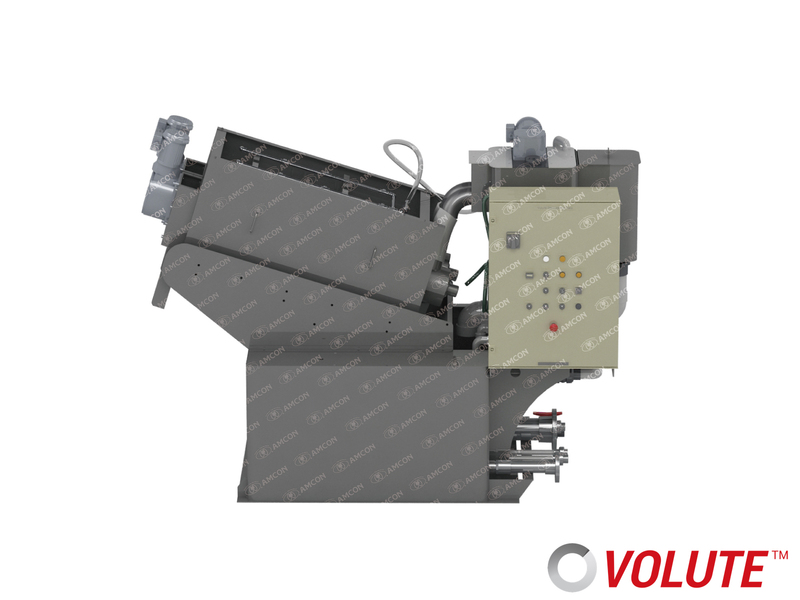 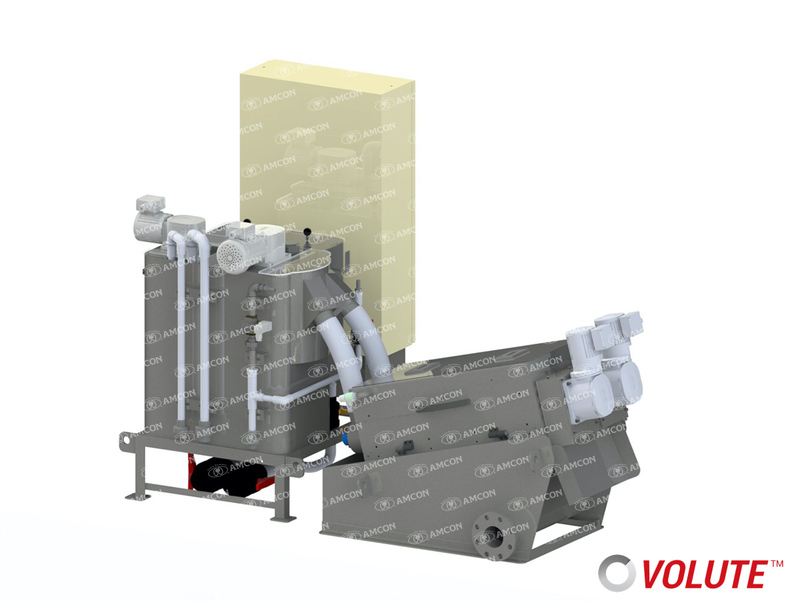 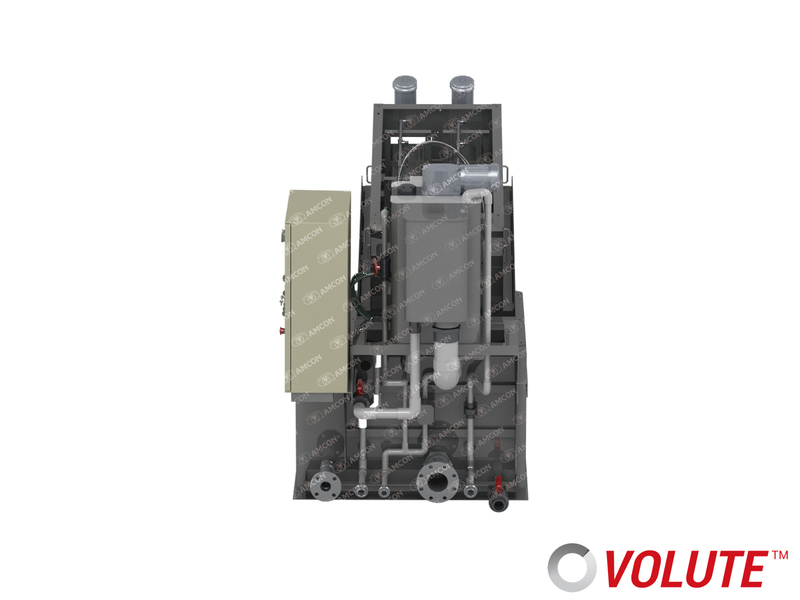 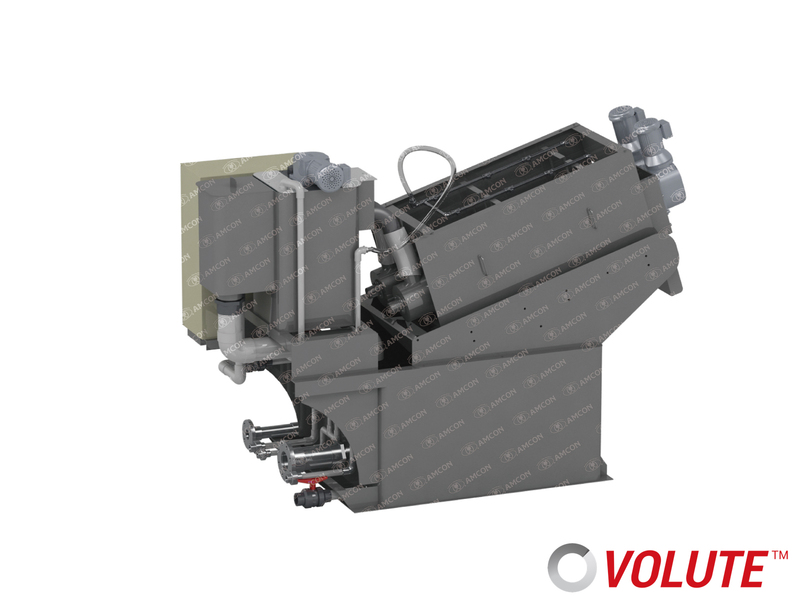 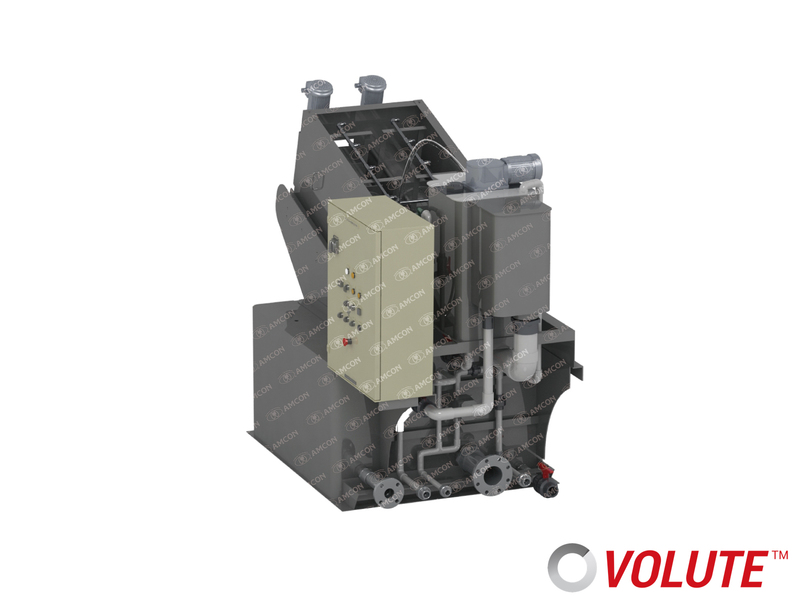 Sludge dewatering press equipped with VOLUTETM technology. 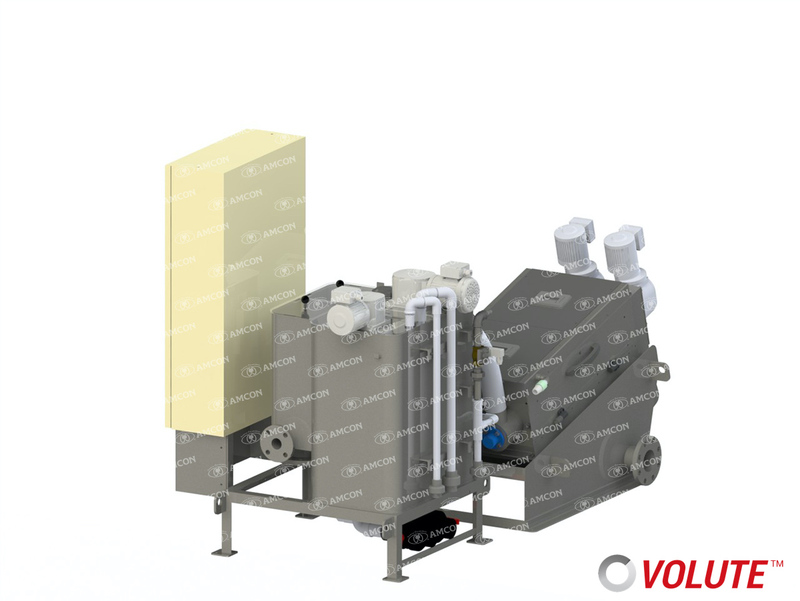 Dewatering with an automatic self-cleaning filter mesh enables stable constant dewatering without the need for flush water to prevent clogging. 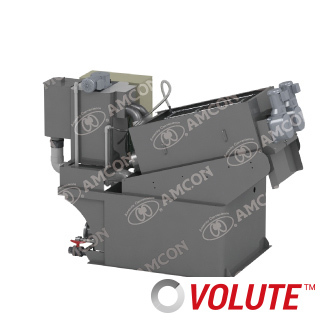 The throughput is increased by max. 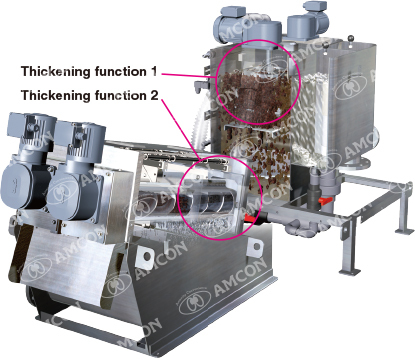 50% thanks to adaption of the new pre-thickening function in the Flocculation Tank. 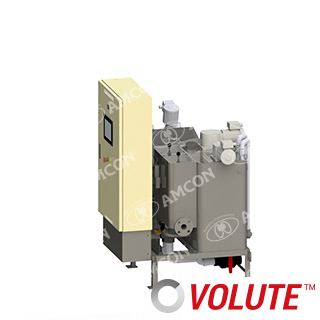 New control mechanisms realize a more stable, safer, and easier continuous operation. 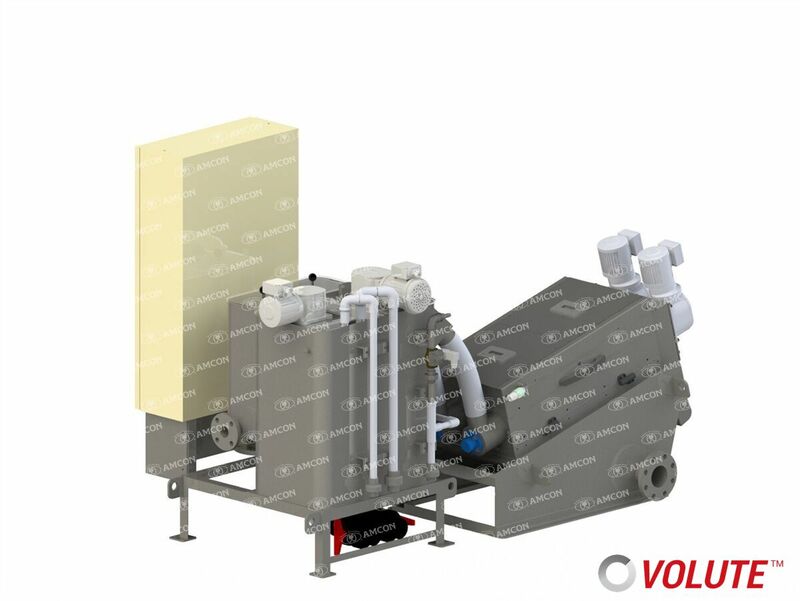 GS Series have got 2 built-in thickening functions, first in the Thickening Flocculation Tank and then in the VOLUTETM cylinder. 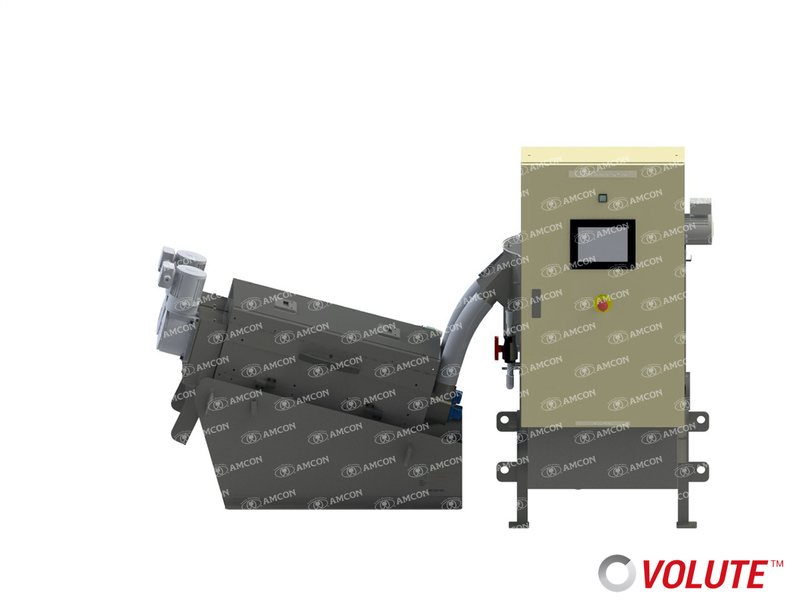 A new design dedicated to usability is adopted. 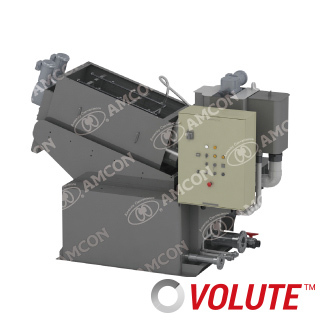 Completely closed covers prevent water or sludge from splashing. 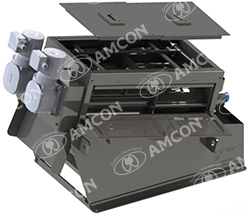 Hinged covers have dramatically improved usability. 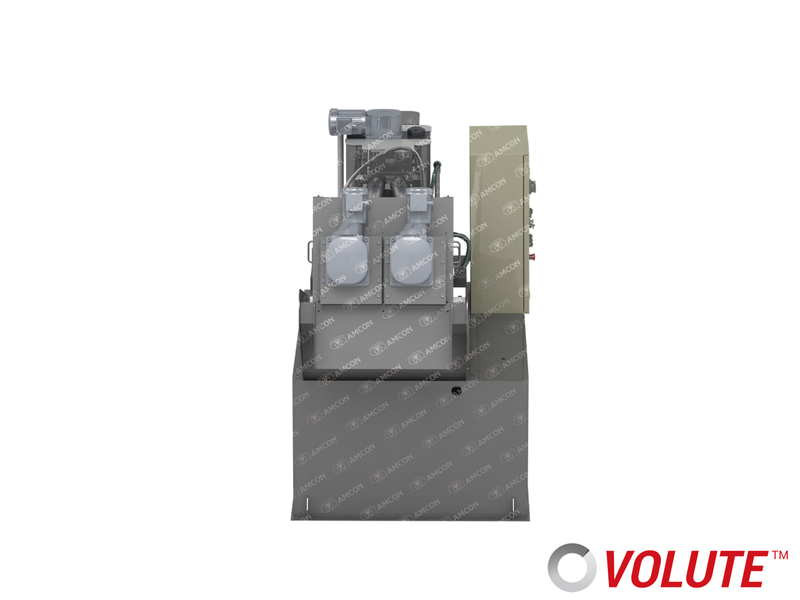 A newly adopted control mechanism realizes a more stable and continuous operation by preventing overload of the machine. 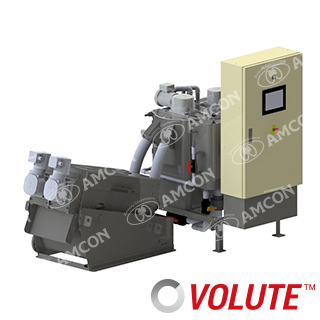 Constantly monitoring the ampere of V-screw motors, it controls the rotation speed of the motor at an optimal rate to realize a more stable dewatering. 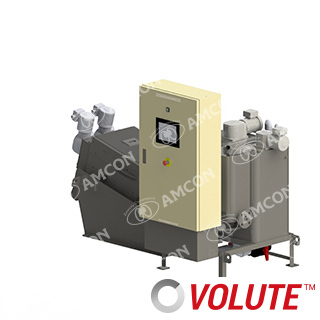 Sludge conditioning tank is equipped as standard, delivering a very high solids capture rate, higher than 95%. 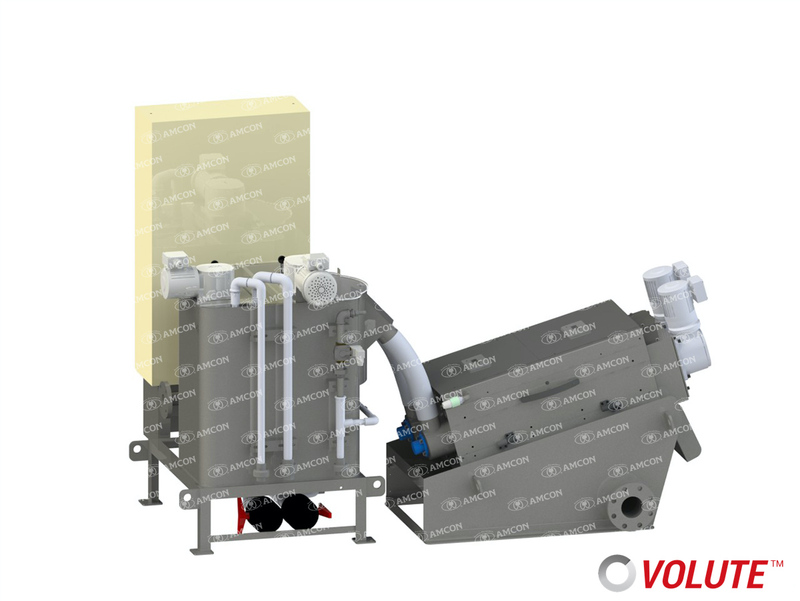 This is suitable for dewatering of sludge from septic tanks and very small wastewater treatment stations for laundry, restaurants, car maintenance garage etc.